Tuesday, October 2, 2018, 6:30 - 8:30 p.m. 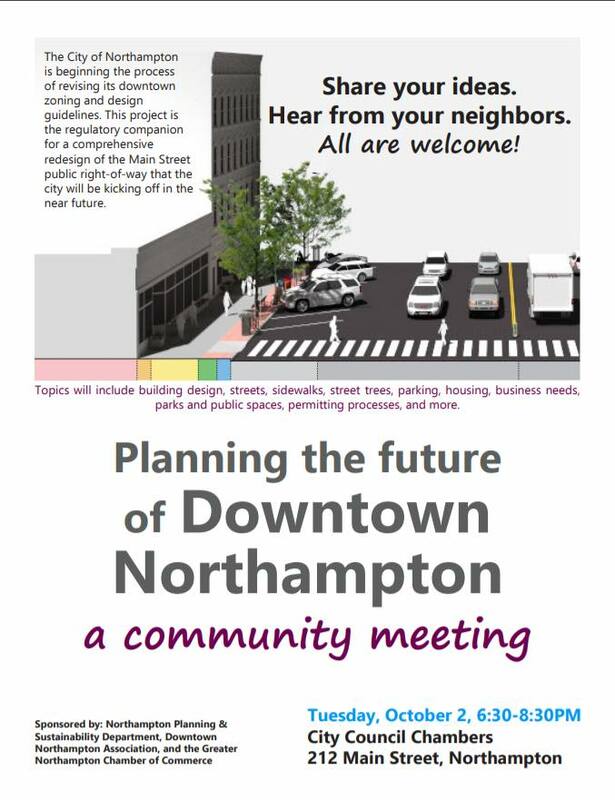 The City of Northampton is beginning the process of revising its downtown zoning and design guidelines. This project is the regulatory companion for comprehensive redesign of the Main Street public right-of-way that the city will be kicking off in the near future. Topics will include building design, streets, sidewalks, street trees, parking, housing, business needs, parks and public spaces, permitting processes, and more. 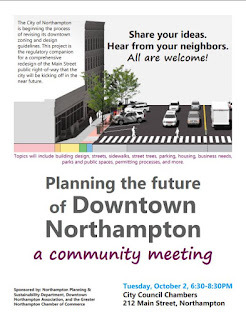 Sponsored by: Northampton Planning & Sustainability Department, Downtown Northampton Association, and the Greater Northampton Chamber of Commerce.